:: After the Diatipo 2013 in São Paulo, we had a great time at Diego, one of the staff member’s home. 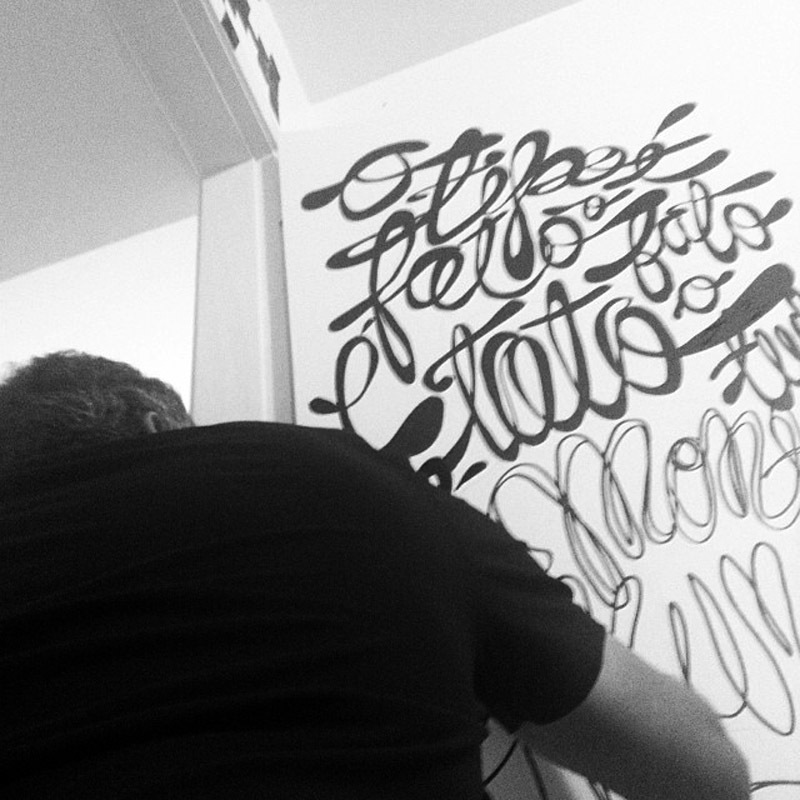 Calligraphers and type designers were there, having some drinks and filling the walls with all those letters that we love. :) This is my small contribution for this “particular museum” of type. :: Extract of "Typophagic Manifesto" (Jose Bessa). 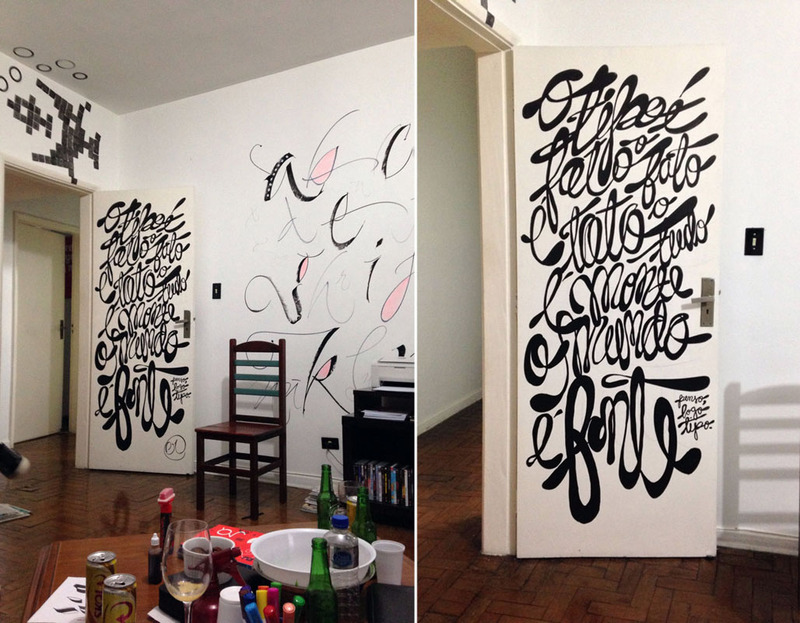 Door painting with black marker. 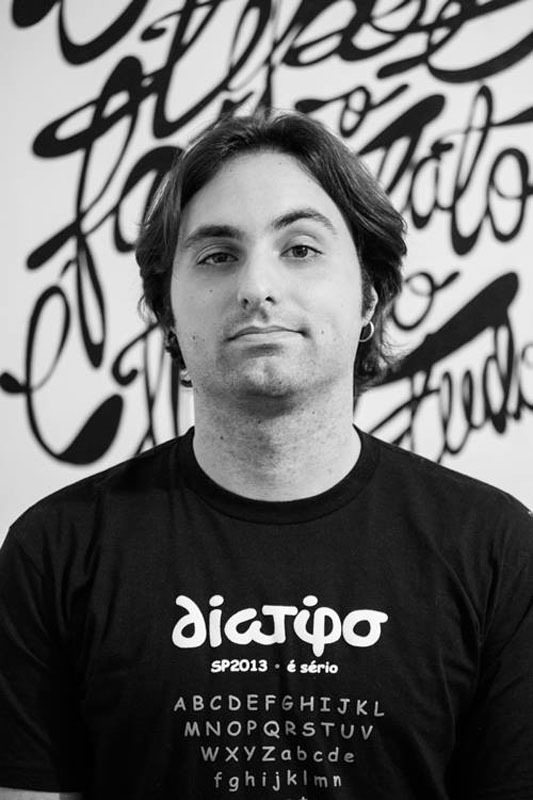 São Paulo, 2013.